Join the iomart team for another thought-provoking event with InfoSec Manchester on the evening of 25th April 2018. “Think Like a Hacker, Act Like a CISO” is the title of the latest meet-up which will take place at the Principal Manchester Hotel in Oxford Street. This month’s speakers include Rik Ferguson from EC3, the European CyberCrime Centre set up by Europol to strengthen the law enforcement response to cybercrime in the EU. 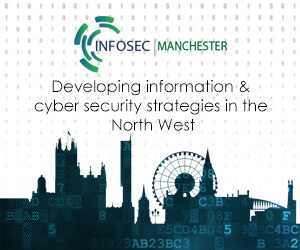 iomart is delighted to be a sponsor of these monthly community-led InfoSec Manchester events which give a platform for industry leaders to share their security expertise and insight. Join us on Wednesday 25th April for welcome drinks at 6pm. The main speakers will take to the stage from 6.30pm.